Red Wheel ∕ Weiser Online Bookstore | Mind Into Matter: A New Alchemy of Science and Spirit by Fred Alan Wolf, Ph.D.
Alchemists of old attempted to make sense of the universe--to discover the connection between mind and matter. Some of today's scientists, in particular quantum physicists, are doing the same. 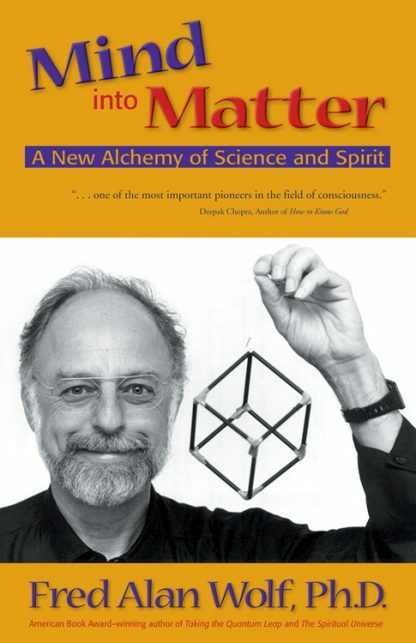 In this contribution to the study of consciousness, physicist Fred Alan Wolf reveals what he calls the "new alchemy"--a melding of the ideas of the old alchemists and the new scientists to reach a fuller understanding of mind and matter. An elegant book with short, stand-alone chapters, each framed by an alchemical symbol and its definition. Thought-provoking for scientists and lay people alike.